One of the most important reads of my ministry life was Confessions of a Reformissional Rev by Mark Driscoll. In a time when I really needed a good old fashion kick in the can, this book was just that. Of course, when Driscoll wrote the book in 2006, Mars Hill Church was a very different thing than it is now. Driscoll was virtually unknown outside of the Acts 29 network and a few groups that sat on the fringe of Christian conversation. When I read about Driscoll in Donald Miller’s book Blue Like Jazz (which I’ll mention again in a moment), he was the “cussing pastor”. Today, Mark Driscoll has become the almost de facto face for super hip congregations across the country. With his smirking face, his outspoken ways and his super trendy metrosexual look, Driscoll is seemingly everywhere. He speaks at conferences all around the world, and he writes numerous books every year. It is a wonder that he has time to teach at the growing multi-site congregation that was the basis of Confessions of a Reformissional Rev. I have become disillusioned with Mark Driscoll over the years. He has become increasingly caustic and mainstream as Mars Hill has blossomed. In some ways, he has become a caricature of the man who wrote Confessions and I cannot help but feel grieved about that. The same could be said for Donald Miller. His book Blue Like Jazz was one of the best Christian books I’d ever read. It really changed my mind about a lot of things – not the least of which was God’s attitude toward ‘liberals’ – Christian or otherwise. When he wrote the book, Miller was an out of shape, neo-hippy writer who lived in a house with four other guys and attended a secular college. Today, he is a fit, well-off Christian writer who lives in his own place and has given up much of the trappings that made Blue Like Jazz so great. Donald Miller was once awkward and uncomfortable with his celebrity. He didn’t know how to speak to large groups. He was just a good guy whom Jesus loved. But today, he is like my generation’s Max Lucado. There’s just something formulaic about what he does. There’s no burning passion in his stuff. All of this leads me to Rocky III – because all roads lead to Rocky movies. 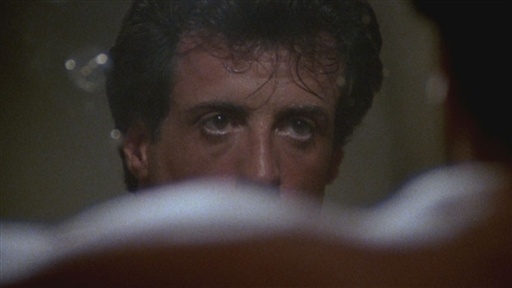 In Rocky III, we find that Rocky has lost his confidence and has become a paper champion. He has lost “The Eye of the Tiger” (which thankfully, the band Survivor found for him and put to music). We should pray to God that he save us from our own celebrity. If there are two sins that Christian leaders and writers are susceptible to, they are envy and pride. We envy the influence and popularity that our celebrities have, and we become consumed with pride when we achieve a bit of the same influence and popularity. We get comfortable with the acclaim of our peers and the accumulation of followers. We lose the fire we have when we are barely hanging on, just trying to keep up with the Holy Spirit. This is not a critique or accusation toward Mark Driscoll or Donald Miller or any other Christian leader/writer. It is more a warning for myself because I do aspire to help others see the glory of Christ’s Church and to use the written word to encourage people in the unorthodox ways God can work. Next postFocus on the the Front Sight!